Are you looking for the perfect leather jacket that will look fantastic over everything and take you from season to season in style? Look no further than the Bridget Vegan Leather Moto Jacket. 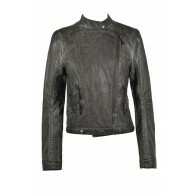 You will die when you see the quality and amazing fit of this jacket made of soft buttery vegan leather. This animal-friendly jacket looks and feels better than the real thing—at an amazing price! The Bridget Vegan Leather Moto Jacket features a fitted and cropped shape with crossover zip front, three front pockets, and four silver studs on the collar. This classic jacket is a must-have and you’re sure to wear it with everything in your closet for years to come. The color of this jacket is a gorgeous beige—perfect for those of you who already have a standard dark leather jacket and are looking for something different and unique. 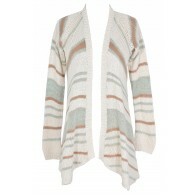 The neutral beige color goes with everything but offers a softer, more flattering alternative to basic black. 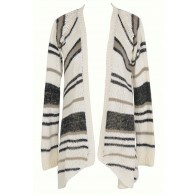 Wear this jacket over cute dresses or with jeans or leggings and a cute top….the options are endless! Fully lined. 87% PU, 43% viscose. Lining 100% polyester. Dry Clean Only. Small length: 17 inches. Bust: 32 inches. Sleeve length: 24.5 inches. 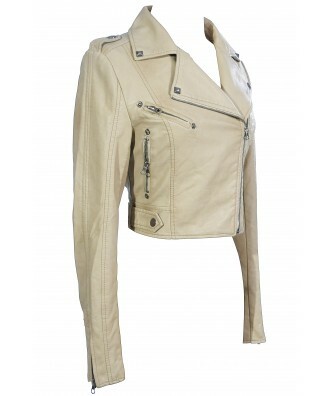 You have added Bridget Vegan Leather Moto Jacket in Beige into Wishlist. 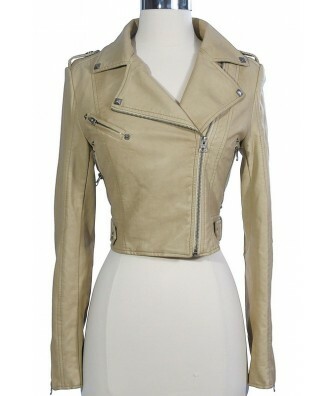 You have added Bridget Vegan Leather Moto Jacket in Beige for Stock Notification. 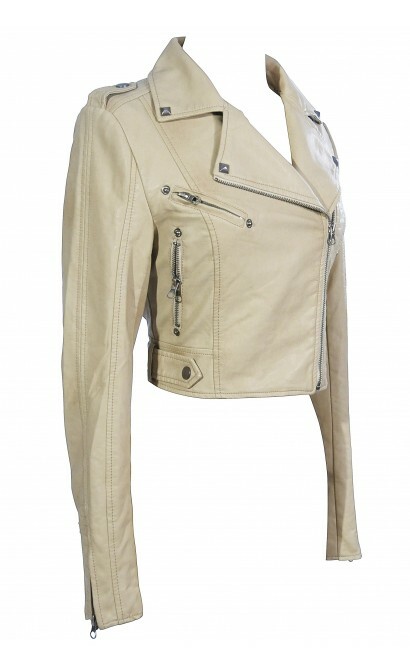 You have set Bridget Vegan Leather Moto Jacket in Beige as a loved product. 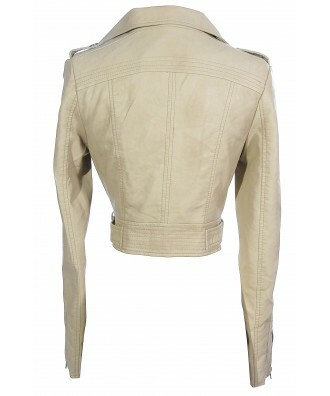 You have removed Bridget Vegan Leather Moto Jacket in Beige as a loved product.